Description: One choice can transform you, or destroy you. Review: Insurgent, the second book of the Divergent series, picks right up where Divergent left off. The factions are at war, following the massacre of much of the Abnegation faction at the hands of the hypnotized Dauntless warriors. Having stopped the attack, Tris and Four find themselves outlaws on the run. This book was just as much of a rush to read as the first, maybe even more so. There is plenty of action, as Tris and Four face danger trying to uncover the truth about what is going on. Roth takes the political undertones even deeper, creating a delicious tension throughout the story. It is a constant struggle to sift truth from lies, or more importantly, whose truth is more compelling. 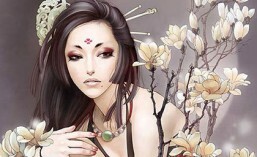 As the plot thickens, the character also become more complex. It is no longer as simple as good versus bad. 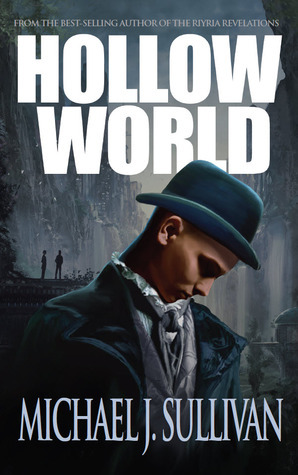 Roth reveals the good intentions behind some of the terrible actions of her “bad guys”, and that good misguided “good” characters have faltered onto dark paths. I am so tempted to mention some specifics here, but I think I will let you discover that for yourself. Tris, herself, is very conflicted throughout the story. Her actions in the previous book have her questioning what kind of person she really is and erodes some of her recently won confidence. This internal struggle results in conflict and tension between Tris and Four. There is also continued tension among Tris and her new Dauntless friends. I will say one thing for Roth, she didn’t really hold anything back. She is telling a dark and gritty tale and she’s not afraid for bad things to happen to pack the necessary emotional punch. Roth is by no means a George R.R. Martin (who seems to kill off characters just so the reader won’t get attached), but she does not shy away from the death of a likeable character. While the first book focused primarily on the Abnegation and Dauntless factions, Insurgent gives a closer look at Amity and Candor. Herein lies the brilliance behind Roth’s unfolding saga. Each faction has its specific social mores, which are both a strength and a weakness when isolated without divergent thinking (um, yeah, guess that explains the series theme in a nutshell). Another theme throughout this book is how far people will go to avoid accepting a harsh reality out of fear, often failing to act and thus making them fall victim to that fear. 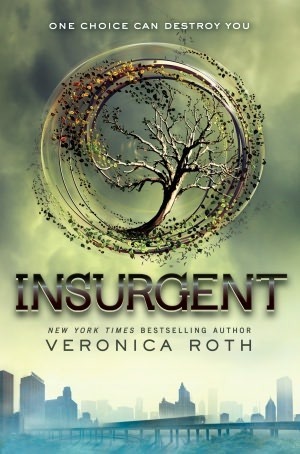 The cover for Insurgent is equally eye-catching as the Divergent cover. This time, it features the faction symbol for Amity with the Chicago skyline at the bottom. The color scheme and layout are complimentary to the Divergent cover, clearly identifying the series. There is one bad thing about this book that I do not like so much . . . that I will have to wait until October for the third and final book of the series! Description: ENEMIES DON’T NEED TO BE ALIVE TO BE DEADLY. 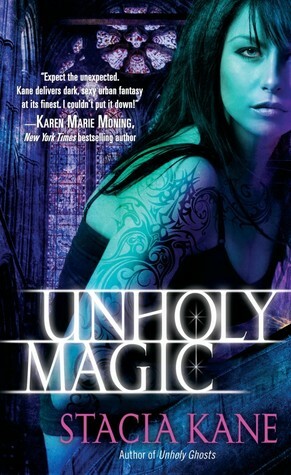 Review: Unholy Magic is the second book of Stacia Kane’s Downside Ghosts, a series that is quickly becoming a favorite of mine. 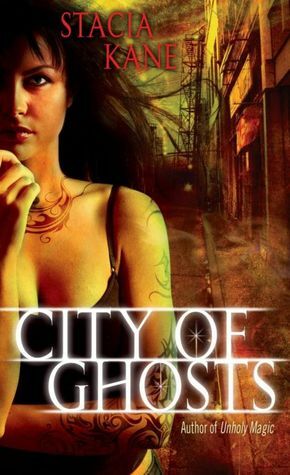 The second book is even darker and grittier than the first, a quality that I love to find in urban fiction. The story is about Chess Putnam, a witch who investigates hauntings for the governing body who protects the world from ghosts, known as The Church. Chess is a pretty tough cookie and a great investigator, despite that fact that she is addicted to drugs. Once again, Chess finds herself working for the underworld of Downside, as well as The Church. Ms. Kane delves even deeper into the cesspit of her heroine’s self-esteem in this book and reveals more the background the caused it. Chess is painfully dysfunctional in her relationships and at times it is agonizing to witness her ineptitude. Her addiction seems to be getting worse. The scene where she goes into withdrawals is written so that the reader can almost feel her pain. It makes me wonder upon what inspiration she draws for this character. Despite the darkness, Chess has plenty of reasons to shine. Even in her deepest, darkest moments, she is able to tap into her powerful magic, which she often refers to as the one thing she can do really well. Her character may be flawed, but Chess is smart, fierce, and determined. Chess has very few friends, and the one she holds most dear to her heart is Terrible. In this book, there are scenes that remind us just why his official job is playing the enforcer for a drug dealer. Yes, we also see his tenderness toward Chess, and his integrity. Kane does a great job of weaving her subplots together and cultivating the mystery throughout the book. Her characters a richly drawn and beautifully flawed. 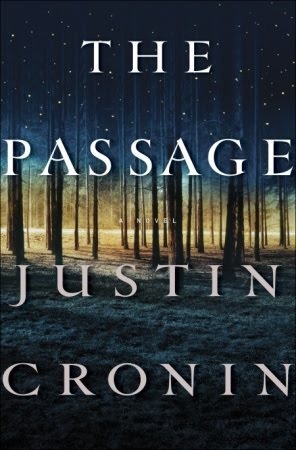 I especially appreciate the character development that arcs between books. She is not afraid to dig deep to elicit strong and dark emotion, so be prepared. This is certainly not fare for the rainbows and flowers crowd. 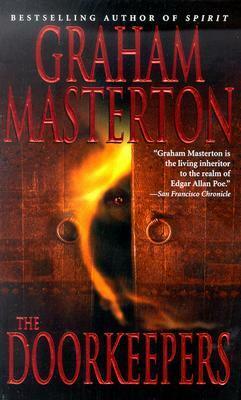 This is one of my favorite covers in the series. The model’s facial expression just has kind of a world-weary look that I think captures the essence of Chess. The color scheme is dark, yet appealing and the layout and fonts follow the pattern that identifies the series. Unless Ms. Kane takes a sharp left turn, I have a feeling that I am going to be a huge fan of this series.